Empire Damansara is amongst a host of new enclaves that will further transform the Damansara area. 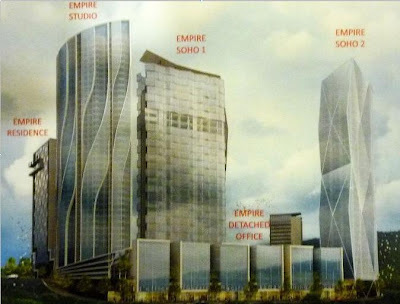 An integrated mixed development within the Damansara Perdana enclave in Petaling Jaya comprising of Empire Studio (39-storey), two SOHO blocks (27 and 24-storeys), Empire Residence (25-storey), a midrise office tower (12-storey), Empire Detached Offices and road-fronting retail shops. Site construction has started. Completion in 2013. As reported by TheStar in March 2010, there are at least 48 more projects (Kota Damansara alone?) coming on stream in the Damansara area. Bad news for folks like me is that the whole area is gonna be jam like mad! good that you've picked up this development as well. but just an added info, kota damansara and damansara perdana are two different locations, damansara perdana is the exit after persiaran surian (the ikea route). kota damansara stretches way deep along persiaran surian and still has plenty of undeveloped land, while d'sara perdana is pretty much fully developed, with the end of the road being the hilltop perdana view condo. Yes Kota Damansara has alot of undeveloped land. 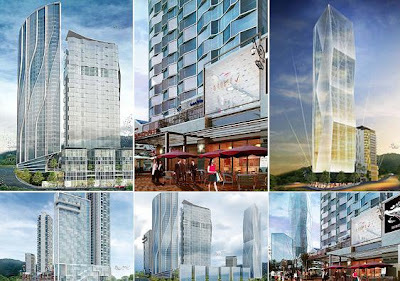 There are also at least 10 more projects coming along Mutiara Damansara and Damansara Perdana area. Watch out for Nucleus Mutiara Damansara. with all the new developments in damansara(kota, perdana etc).. is there's any chance to have project of apartment that will cost 300K and below?